Learn how to pay off debt fast and turn your financial situation around with this easy step-by-step guide! In debt? You literally can’t afford to ignore it. Luckily, there’s a simple 8-step programme that will help you pay off debt fast and annihilate your it FOREVER. That’s right – you really can get your finances back on track and start living the life of your dreams! Is debt keeping you awake at night? Are you finding it difficult to keep up with debts payments? Do your debts seem to get bigger and bigger? Do you flinch whenever you check your bank balance? Is debt consuming a lot of your income? Do you worry that you’ll never be able to retire? Are you just a few bills away from bankruptcy? Are you scared of losing your home, your car, and your dreams? Do you think financial freedom is just a pipe dream? Have you tried to dig yourself out of debt, only to fall even deeper? Debt ruins lives, but it doesn’t have to ruin yours. Don’t let debt stop you from achieving your financial goals. If you are struggling with debt and have no idea where to start, YOU ARE NOT ALONE! Believe me, I know what it’s like to feel the burden of debt, but I escaped financial slavery and never looked back! In this guide, I’m going to show you EXACTLY how I paid off over £32K of debt in just two years. You won’t find any nonsense, fluff, or ridiculous budgets to follow in this guide. Oh, and you won’t have to live a miserable, frugal existence either. After all, we all need a few indulgences from time to time! I’ll give you crystal-clear, jargon-free strategies and exercises that will help you pay off debt fast, overhaul your finances once and for all. What would getting out of debt mean to you? Just imagine what your life will be like when you’ve cleared your debts! You’ll be able to do anything you please – the sky’s the limit! Do anything else you desire! This can be your reality. Click here to get started today! How to grow your wealth, take back your financial future, and start leading the life of your dreams! It’s time to stop putting all your hard-earned cash in lenders’ pockets and start building YOUR personal wealth. 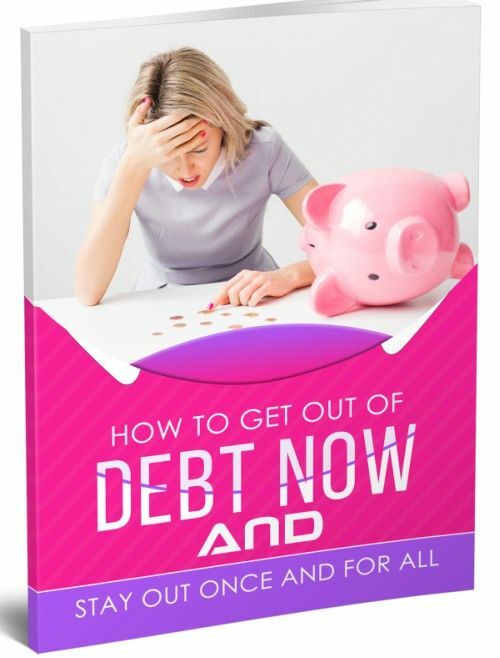 Download your PDF copy of How to get Out of Debt and Stay Out Once and for ALL for just £27 TODAY and start living a life you’ll love! 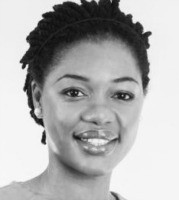 Hi, I’m Esther, the founder of MoneyNuggets, a personal finance blog for women who want to master their financial destiny. I relentlessly pursue one goal: empowering women through financial literacy so they can take control of their finances and build sustainable wealth. Like so many, I have had my own share of financial problems. I got myself into a horrible mess, to the point where I was ashamed to let even my partner know how badly I had screwed up my finances. My troubles began when I took out a loan and things got worse when I lost a lot of money during the credit crunch, and I ended up spiralling into debt. Eventually, I reached breaking point. At that moment, I knew I had to claw my way free from debt and get my life back. The first thing I did was to find ways to get out of debt ASAP. The step-by-step plan outlined in this course tells you exactly what I did to regain control over my life. At the time, I owed £32,000 in debt. In the first year I cleared £8,000, and I paid the rest off over an additional twelve-month period. In total, it took two years to become debt free. There is no better feeling than knowing that you are financially free. That’s why I’m so passionate about helping others in the same situation to get out of debt, to stay debt free, and to live life on their own terms again. This story doesn’t stop with me; I am sharing this because I want the same financial success for you. My story alone should give you hope! But hope without “how” is an empty promise. No matter your financial situation, I will show you how to leverage your finances, pay off debt fast and take control of your financial destiny. So I can say with confidence that this course will work for anyone. Even if you are totally broke and have reached rock bottom like I had, it will help you turn your financial situation around.